With berentzen peach from Germany. Berentzen, champagne, honey water, lemon. Blood orange liquor, orange juice, champagne. St. Germaine, champagne, lemon twist. Boodies gin, homemade sweet & sour, orange muddle, orange cream bitters. Crop organic pumpkin vodka, brandy, Tia Maria, coconut milk, brandied cherry. Fluffy hand-rolled crepe with mascarpone cheese, fresh berries, chocolate and whipped cream. Field greens, grape tomato, crumbled bleu, white balsamic vinaigrette. 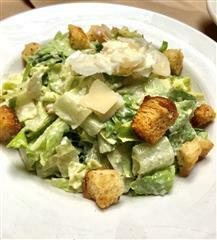 Romaine hearts, classic 'house' dressing, sprinkled Asiago, butter croutons. Breaded chicken cutlet, baby arugula, lemon vinaigrette, shaved parmesan, balsamic drizzle. 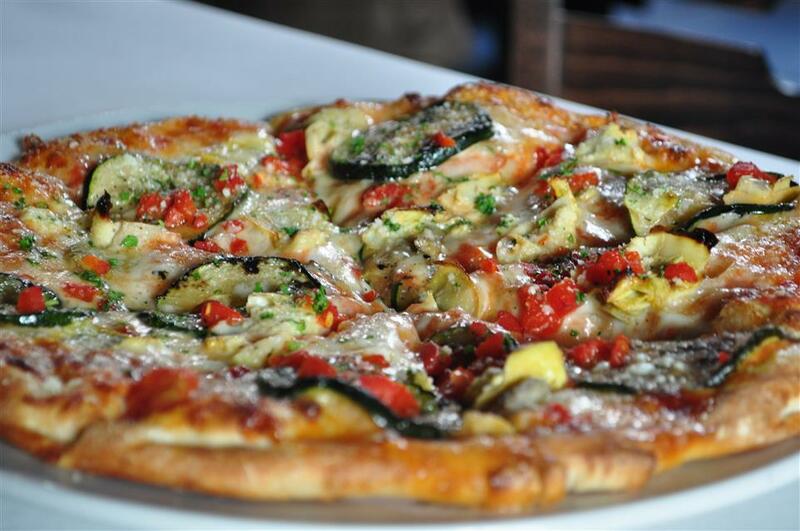 With egg, imported prosciutto, caramelized onion, mushroom, sweet pepper, Romano, white cheddar & mozzarella. Sweet marinara, fresh mozzarella & basil. Tomato sauce, sausage, stuffed banana pepper rings, mozzarella, Romano. Egg dishes served with brunch potatoes & fresh fruit. Non-egg specialties served with fresh fruit. Homemade Belgian waffle, fresh berry compote, cream. 2 poached eggs, farm Canadian ham, hollandaise & asparagus over English muffin. 2 fried eggs over ground Italian sausage, brunch potatoes & onions sprinkled with grated parmesan. With creamy white cheddar & Romano cheeses. French toast, mascarpone cheese, candied pecans, vanilla cinnamon syrup fresh berries. Farm fresh fried egg, applewood sliced bacon, garlic mayo, lettuce & tomato on sourdough toast, brunch potatoes. 8 oz. fresh angus burger, white cheddar, applewood bacon, fried egg, caramelized onions, bbq sauce, brioche roll, hand cut fries. Breaded with spinach & provolone cheese, seasoned hand cut fries. Breaded eggplant, chicken or meatballs with melted mozzarella & tomato sauce on fresh Luigi Bakery roll, hand cut fries. 4 Crostini topped with house made bruschetta, parmesan & balsamic reduction. Thin sliced Italian cured meats, Sicilian caponata, house made giardiniera & mustarda, olive salad tapenade, diced imported cheeses, olives & crostini. Whole roasted garlic, white bean & garlic spread, kalamata olive tapenade, sicilian caponata, goat cheese & sliced crostini. Our award winning cheese stuffing & crostini. Crispy, yet tender, 2 sauces for dipping- smooth piquillo pepper sauce & marinara sauce. 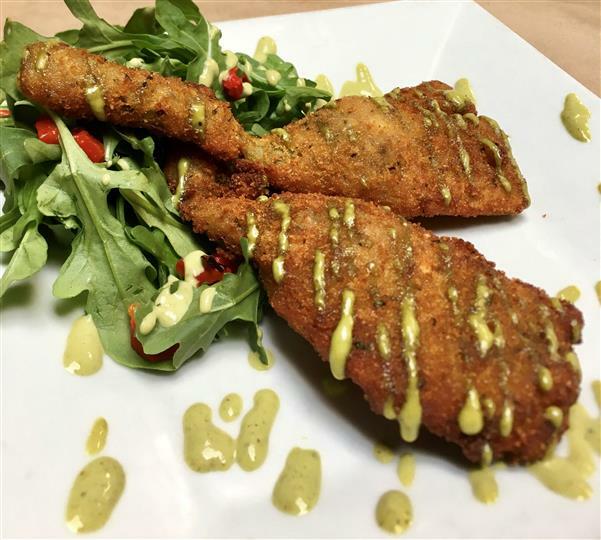 Halved artichokes on the stem, lightly breaded & fried, lemon-basil aioli. 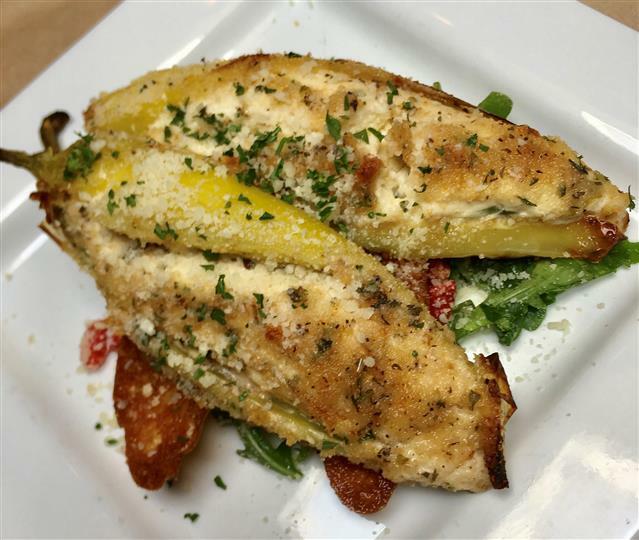 Sauteed in a bacon & light white wine cream sauce, finished with sprinkled Parmesan. With oven-dried tomatoes & crushed cherry peppers in a classic white wine-tomato broth, sprinkled Romano. With garlic, toasted bread crumbs, butter, lemon & white wine broth & sprinkled Romano. 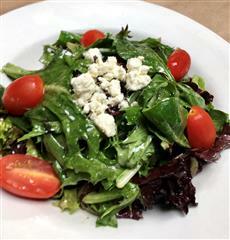 Field greens, seasonal tomato, crumbled bleu, white balsamic vinaigrette. Romaine, butter croutons, house made dressing, shaved Parmesan. 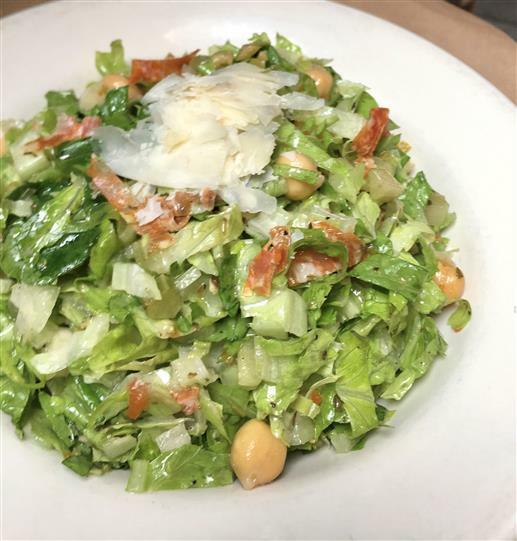 Romaine, sopressata, celery, onion, green olive, parmesan, garbanzo bean, house Italian dressing. Baby arugula, citrus vinaigrette, shaved parmigiano reggiano, balsamic glaze drizzle. Gluten Free Pizza Dough Available, add $3.00. 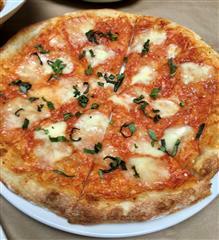 Marinara sauce, buffalo mozzarella, sweet basil. Tomato sauce, sausage, stuffed banana peppers, mozzarella, romano. Olive oil, roasted garlic & red peppers, suppressant, caramelized onion, mozzarella, Romano. Roasted chicken, homemade sweet BBQ sauce, caramelized onion, roasted red peppers, white cheddar. Olive oil, roasted garlic, sliced tomato, caramelized onion, fresh herbs, Romano & mozzarella. Olive oil, grilled zucchini, artichoke hearts, sliced tomato, baby spinach, fresh mozzarella, balsamic reduction. Add Chicken$5.00, Tiger Shrimp $7.00, or Diver Scallops $8.00 to any Imported Pasta. E.V.O.O. toasted garlic, white wine, broccoli, oven-dried grape tomatoes, shaved Parmesan & fresh basil over linguine. Walnut & fresh herb pesto, Parmesan & light cream over fettuccine. 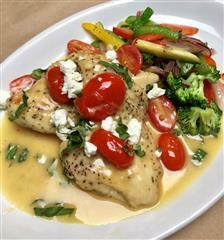 With herbed-ricotta in our signature roasted red pepper cream sauce, fresh basil. 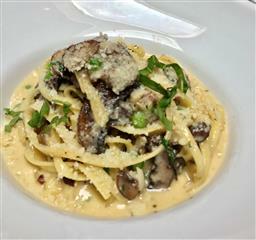 Classic Alfredo sauce, crispy imported prosciutto, cremini mushrooms, sweet peas & fresh basil over linguine. In our family tomato sauce. 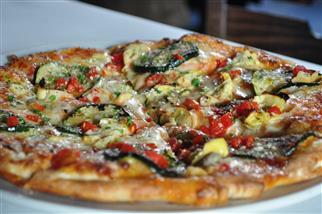 E.V.O.O., red chili, pinot grigio, fresh herbs, red or white clam sauce. 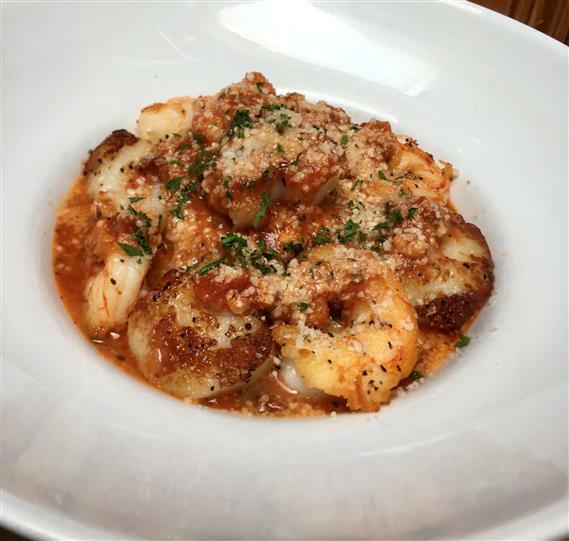 House made spring-onion ricotta gnocchi, pan fried with your choice of sauce: Roasted red pepper cream, family tomato or fresh marinara. Classic slow cooked beef & pork ragu, stewed plum tomatoes, whipped ricotta & shaved Parmesan over pappardelle. Traditional egg custard, crispy pancetta, pecorino Romano cheese over thin spaghetti. Jumbo tiger shrimp. sea scallops, zesty marinara sauce & fettuccine. Delicate crepes stuffed with seasoned ricotta & baked in marinara sauce. Baked with pecorino, ricotta & melted mozzarella, marinara sauce, spaghetti. Layered with beef & pork, 3 cheeses & our family tomato sauce. Our Veal is hand carved. All dishes (except Parmigiana) are served with a Seasonal Vegetable & side of Spaghetti with Family Tomato Sauce. Breaded cutlets, thin prosciutto, melted mozzarella, crimini mushrooms, marsala wine sauce. Sautéed tender cutlets, capers, lemon & white wine sauce, spaghetti. Sauteed cutlets, grape tomato, basil, goat cheese, lemon & white wine sauce, spaghetti. Lightly floured sauteed cutlets, crimini mushrooms, marsala wine sauce, spaghetti. Baked with pecorino, ricotta and melted mozzarella, family tomato sauce. E.V.O.O., red onion, garlic, red pepper & white wine broth, sprinkled romano. House made spring-onion ricotat gnocchi, pan fried with your choice of sauce: roasted red pepper cream, family tomato or fresh marinara. Thin cutlet of pork stuffed with cappicola, hard boiled egg, pecorino-romano & fresh herbs in our family tomato sauce over spaghetti. 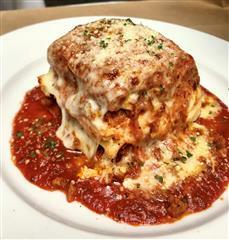 Baked with pecorino, ricotta and melted mozzarella, marinara sauce, spaghetti. 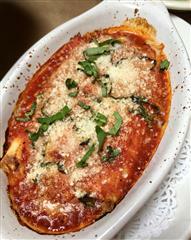 All dishes (except parmigiana) are served with a seasonal vegetable & a side of spaghetti with our family tomato sauce. Sauteed tender cutlets, capers, lemon & white wine sauce, spaghetti. Baked with pecorino, ricotta & melted mozzarella, family tomato sauce, spaghetti.